Storms have created communications outages and fuel shortages, while damaging transportation links in Puerto Rico, New York Federal Reserve President William Dudley said in February. San Juan, Puerto Rico: Puerto Rico's power grid broke down again on Thursday, leaving some 800,000 customers without power, as the US Caribbean possession struggles to recover five months after Hurricane Maria slammed the island. 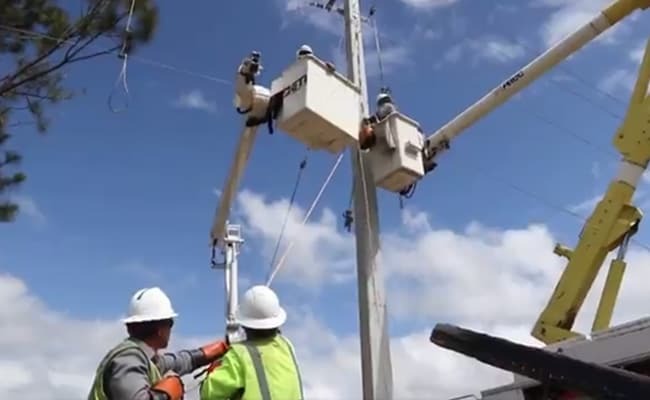 Justo Gonzalez, head of the Puerto Rico Electric Power Authority (PREPA), said that one of the island's main transmission lines was out of service. Officials said the line should be fully operational again before Friday. The government-owned utility has 1.5 customers out of a population of 3.5 million -- not counting the 500,000 Puerto Ricans who left since Maria struck on September 20, 2017. The head of the utility worker's labor union, Angel Figueroa Jaramillo, said that the blackout affected half of the population that had access to electricity, including customers in the capital San Juan. Some 400,000 customers -- about 30 percent of the total -- are still waiting for service to be restored since Maria struck Puerto Rico. The storms destroyed more than 80 percent of Puerto Rico's crops and created communications outages and fuel shortages, while damaging transportation links, New York Federal Reserve President William Dudley said in February. Since 2006, economic growth has been down 15 percent in Puerto Rico, which also faces a severe debt crisis. Satellite imagery also showed electrical lighting on the island -- a proxy for economic activity -- fell sharply after Maria.